A set of two 9" propellers. Includes one clockwise replacement propeller and one counter-clockwise replacement propeller. By using a second generation airfoil designed with computational fluid dynamics (CFD) in the DJI Propulsion Lab, the new 9450 provides extra thrust and better power efficiency. Thanks to this increased thrust, performance is significantly improved when flying a heavy-loaded Phantom, especially during quick manoeuvres and descent. 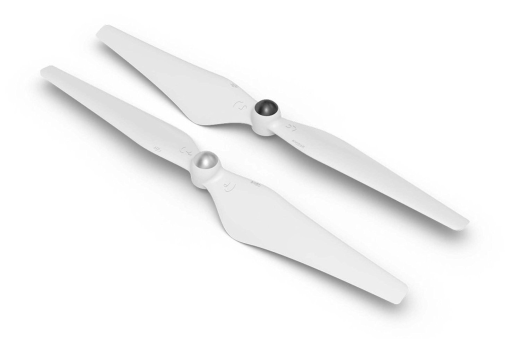 - Each propeller is made with durable plastic, ensuring stable flight.